After a risky physics experiment transports the island University of Halcyon to a new world, engineer Dave Schuster and his fellow students struggle to survive in this alien, hostile environment. As tyrannical forces within the University use the catastrophe to strengthen their power and control, Dave encounters an even greater menace which threatens the very existence of their fledgling colony. 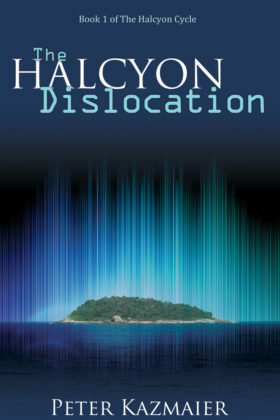 Book 1 of the The Halcyon Cycle series. Oooh that looks good. Bought.